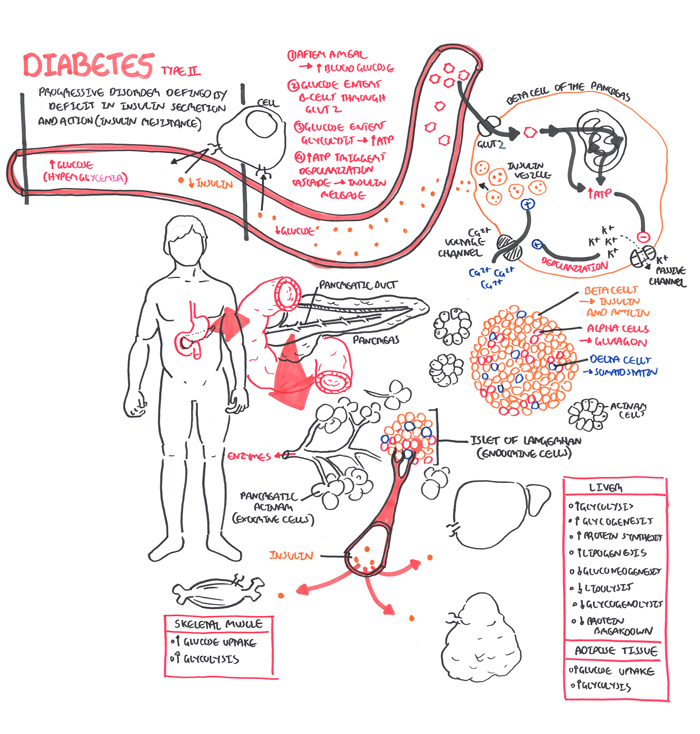 Overview Diabetes Mellitus type II is a progressive disorder defined by deficits in insulin secretion and action (insulin resistance). 1 in 12 people have diabetes (50% do not know they have it). Diabetes type II accounts for over 90% of all diabetes cases. The remaining 10% include type I diabetes. 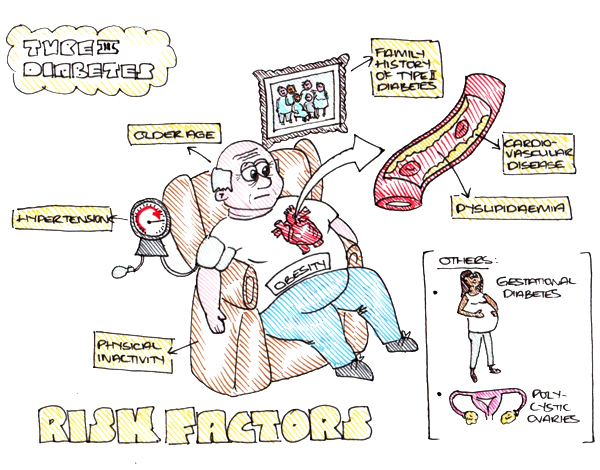 People with type II diabetes are often asymptomatic initially, and may not be recognised for many years. Type II is not usually associated with DKA and insulin is not essential for survival but is often required to achieve adequate glycemic control. Diabetes: A group of metabolic diseases in which there are high blood sugar levels over a prolonged period. Gestational Diabetes: diabetes diagnosed during the second half of pregnancy with no prior existing diabetes. The head is encircled by duodenum and tail in contact with spleen. The pancreas has a poorly developed capsule & therefore adjacent structures (common bile duct, duodenum, splenic vein, transverse colon) are commonly involved in inflammatory process. It is an exocrine and endocrine organ. The Beta cells produce insulin. 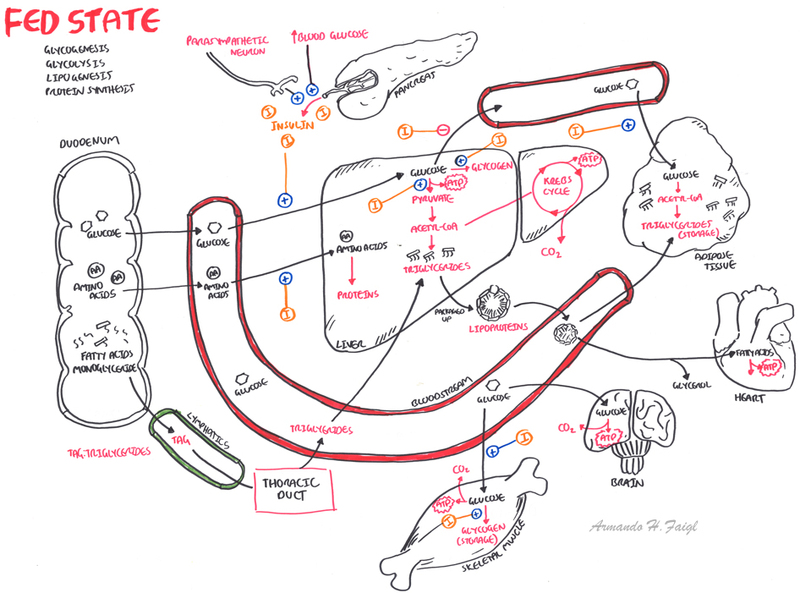 The beta cells make up the majority of endocrine cells in the pancreas. Beta cells are stimulated when blood glucose is high. Once insulin is secreted it targets many organs especially the liver to promote glucose storage as glycogen and lipids. 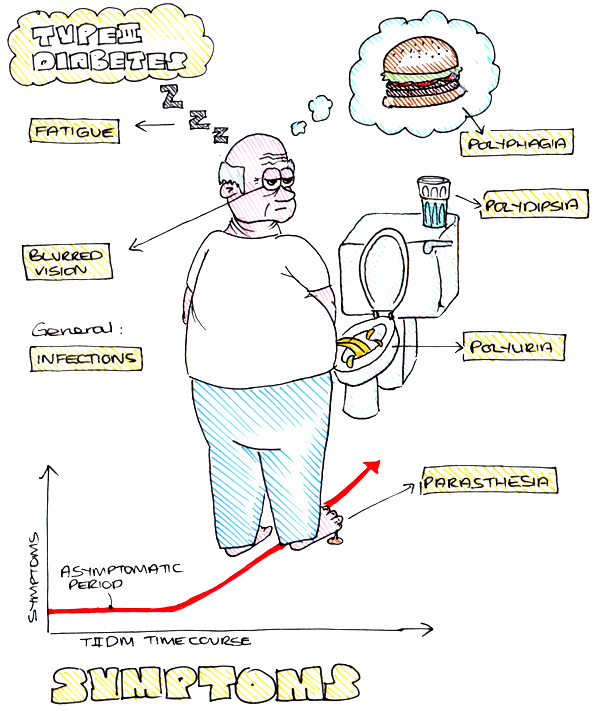 Normal physiology of what happens after you eat. 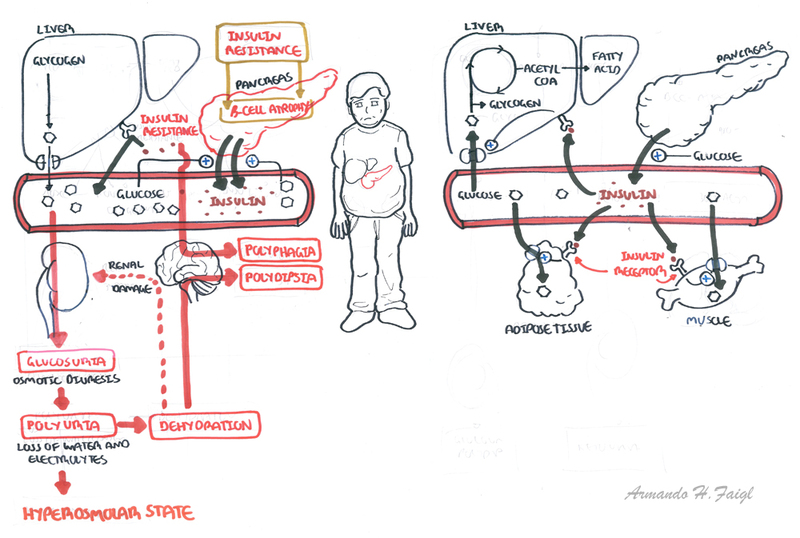 Insulin plays a major role in the bodies response to feeding. Insulin promotes storage of nutrients. 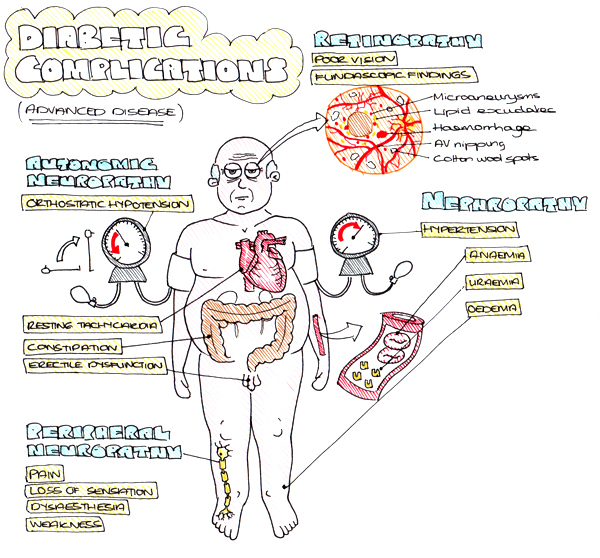 Insulin dysfunction results in elevated glucose levels and distributes homeostasis. Side Note Plasma Fructoseamine is an alternative to HbA1c. It correlates with blood glucose levels and has a shorter half. It is a superior marker to HbA1c in pregnancy, in assessing the effect of medication on diabetes, in diseases that affect erythrocyte number (ex. 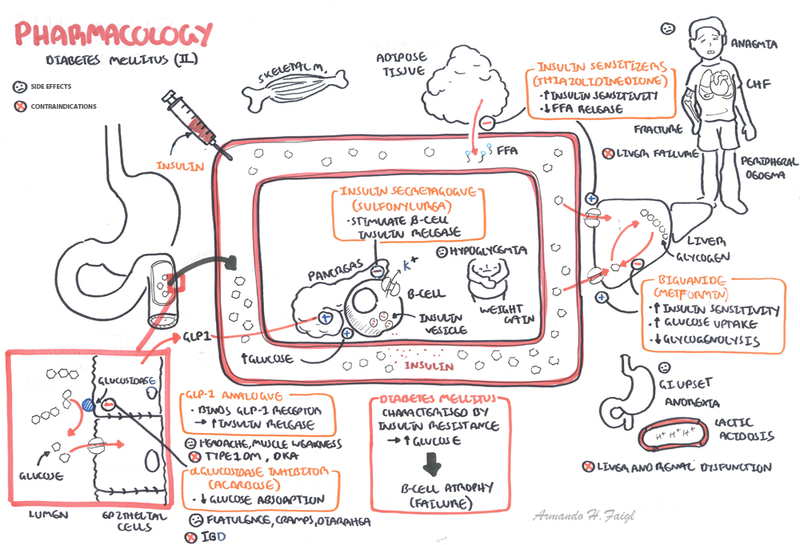 Sickle cell, hemolytic anaemia). In all asymptomatic people whose initial result suggests a diagnosis of diabetes, a confirmatory test must be performed on a separate day. Remember 7/11 rule. 7 at fasting. 11 after eating. Diabetes Type I is cause primarily by immune-mediated destruction of the insulin-producing beta-cells. Islet cell antibodies and antibodies to insulin, glutamic acid decarboxylase and the tyrosine phosphatase. This form of diabetes is usually rapid in onset and within five year the person usually has an absolute deficiency in insulin requiring lifelong treatment with insulin, otherwise they risk developing DKA. Guillain-Barré syndrome is a disorder in which the body’s immune system attacks part of the peripheral nervous system. Its like multiple sclerosis but it effects the peripheral nervous system. Physical inactivity and being overweight contributes to insulin resistance. Side Note Red blood cells contain haemoglobin HbA. Glucose bind to haemoglobin making glycosylated haemoglobin HbA1c. Once haemoglobin is glycosylated it stays this way until the red blood cell dies. Red blood cells have a turn around of 120days. Therefore monitoring HbA1c can give an estimate of blood glucose control. If the HbA1c is low it means the glucose level has been low for the 120day period – which means diabetes is under control. Alcohol associated hypoglycaemia – alcohol impairs the body’s ability to provide glucose and restore low glucose concentrations towards normal. Hyperosmolar Hyperglycemia – Occurs primarily in type II diabetes and is characterised by marked hyperglyceamic and dehydration without ketoacidosis. It may present as coma in severe cases and can be precipitated by sepsis. Venous thromboemoblism is a common complication of hyperosmolar states and heparin should be used prophylactically.